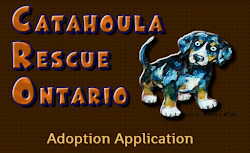 Catahoula Rescue-Ontario: Meet Chubby’s puppies ALL ADOPTED! 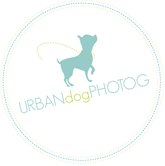 Meet Chubby’s puppies ALL ADOPTED! Chubby (also up for adoption) was found as a stray and was brought to CRO shortly before giving birth to eight puppies on Jan 7th, 2013. Chubby is a lab mix (mostly lab with a touch of shepherd or other in her) and we do not know what the father is. The puppies are expected to be as big as mom (she is 50-60 pounds) when fully grown. The puppies have been socialized to dogs of all sizes and various people while in their foster home. They are sweet and adventurous, great puppies all around. Mom is a wonderful pup herself, very social and wants nothing more than to be by your side.